I had a baby shower to attend for a special lady and had so much fun knitting and quilting for her. I found a kit from Little House in the Big Wool and knitted the cutest monster (in his jammies!) and then made a quilt using the raw edge technique for the circles. Both were very fun! I packaged it up with a copy of Maurice Sendak's book, "Where the Wild Things Are" and gave it to the cutest Mom-to-be this past Saturday. 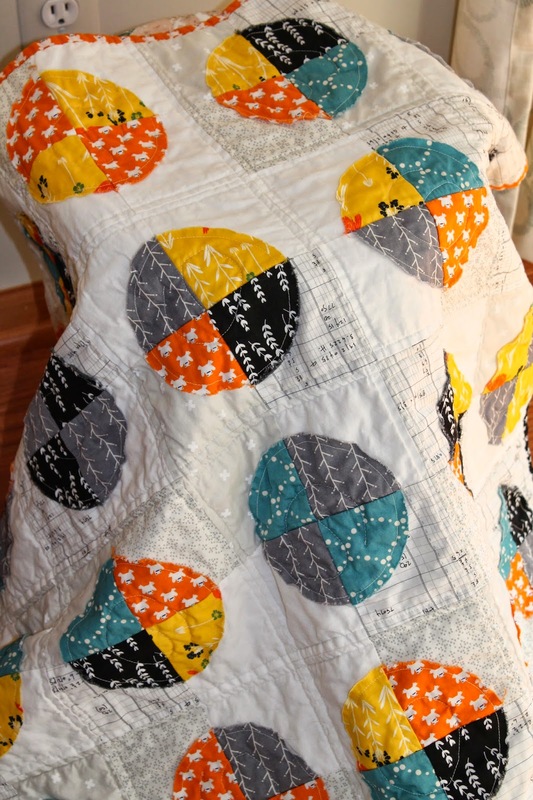 The quilt pattern came from the book, "Growing Up Modern" by Allison Harris of Cluck Cluck Sew. I used the circle rulers from Lori Holt of Bee in My Bonnet and it made cutting the circles such a breeze! I had a lot of fabric left over and decided to make a surprise quilt for a special someone (I'll share later). I used the book in the bottom picture. I didn't have a jelly roll but I did have lots of fat quarters so I cut two 2 1/2 strips from each fat quarter and it gave me the amount I needed. I went through my stash and used everything that looked like boy to me. I wanted it bright and colorful and I believe I achieved that! The quilt looks amazing, it would take me ages to finish something like that! 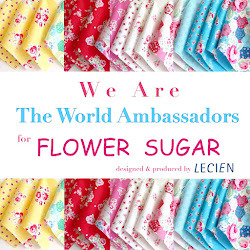 Do you plan out in detail where all the fabrics go first or just let to all the bright colors balance themselves out? 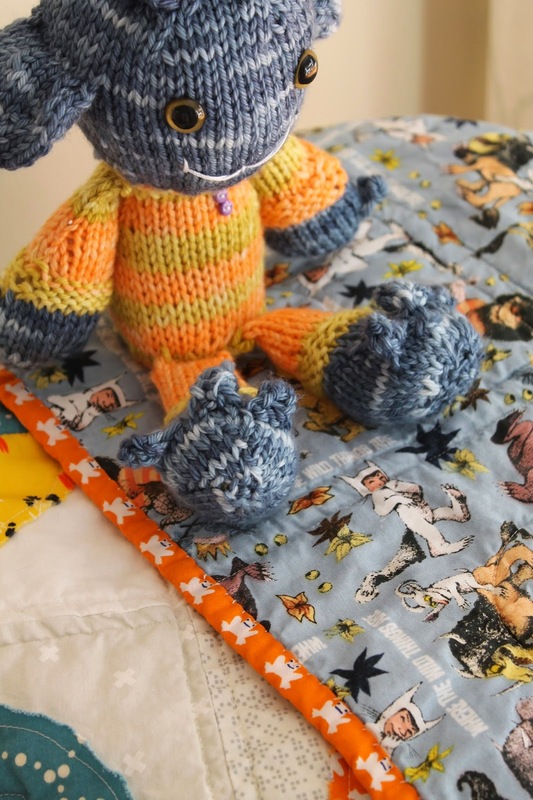 That wild thing quilt is so cute, and the knitted monster is precious! 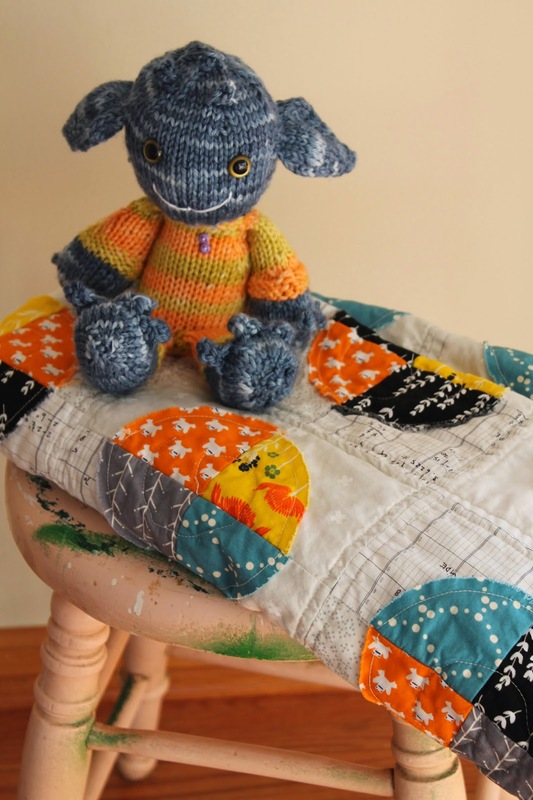 What a delight, the quilt is gorgeous and the knitted monster is perfect for a gift. Beautiful. 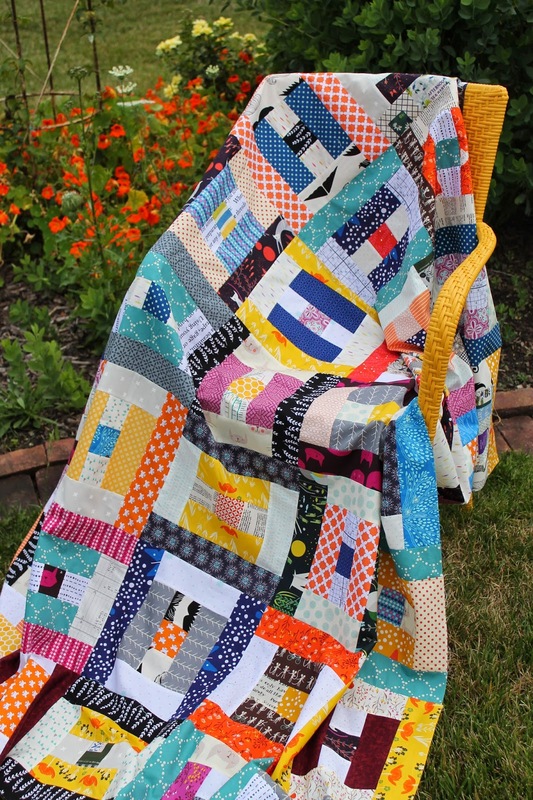 Love your Wild Thing quilt and the knitted monster with pjs! So cute with the Sendak illustrations on the backing. There is something really intriguing about your color choices for the Wild Things quilt! The bright orange is balanced out so well by the warm gray of the circles. 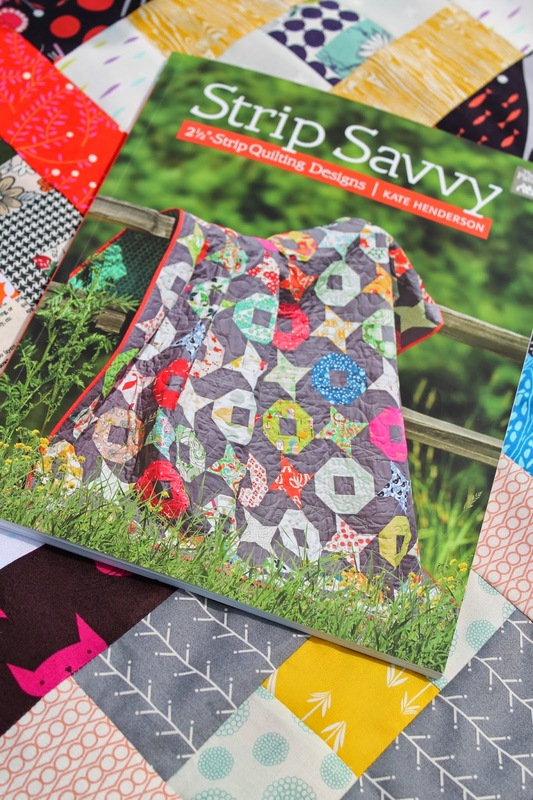 I love the idea of quilts inspired by books. One of my favorite series to have worked on was heavily inspired by the Giving Tree. Wonderful! Thanks for sharing with us.